NEW YORK (AP) — The stage musical “Dear Evan Hansen” is about a lonely young man desperate to be liked. Mission accomplished, we’d say. “Dear Evan Hansen” is a heartbreaker of a musical that centers on an awkward teenager raised by a single mom who inadvertently becomes a social media sensation, with disastrous consequences. It captures the strains between children and their parents, as well as exploring suicide, alienation and peer pressure. The show’s creators hope its message of acceptance, honesty and love can resonate far from its 984-seat Broadway home , where the average ticket price is $179. That’s why the various tours with cheaper tickets and the $11.99 novel come in. Another way the show is spreading its message far and wide is a deluxe cast album in October, which will offer songs cut from the show, new recordings of existing songs by the show’s current and touring cast members, cover versions and original demos. It’s part of a mini-industry fed by fans who have embraced it like “Hamilton.” Pasek and Paul said many of the show’s complex themes might seem like unlikely fodder for a big Broadway show. But they credited musicals such as “Next to Normal,” ”Fun Home” and “Rent” with paving the way. “Those were shows that we looked to a lot and leaned on a lot in the moments where we were like, ‘What are we writing about? This shouldn’t be a musical.’ So that was a comfort,” Paul said. 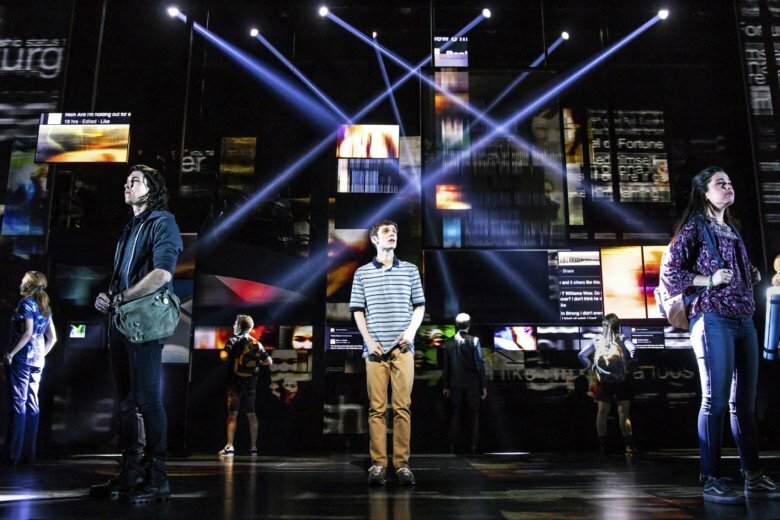 Michael Greif, the Tony-nominated director of “Next to Normal” and “Rent,” also helmed “Dear Evan Hansen” and argues that audiences are thirsty for complex, flawed characters. The pair have ridden — and helped shape — the recent wave of interest in musical theater, fed by shows like “Glee,” ”High School Musical” and “Hamilton.” They’re not surprised to find that young people taking to the streets these days to discuss everything from gun violence to #MeToo have a theater background.